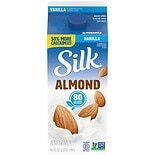 Shop Silk PureAlmond Milk 1/ 2 Gallon Carton Vanilla (64 oz. )64 oz. 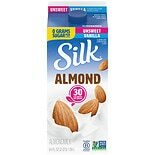 Shop Silk PureAlmond Milk Unsweetened 1/ 2 Gallon Carton Vanilla (64 oz. )64 oz.